Nihoncha Instructor (or Japanese Tea Instructor) is a certification program offered by Nihoncha Instructor Association in Japan to help promote education and consumption of Japanese Tea. This program is rather standardised teaching the most popular Japanese green tea. 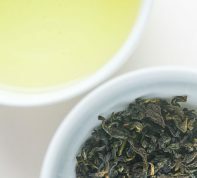 Sencha is most commonly studied and many of the regional differences are standardised to teach one basic method. It is a good starting point for instructors to begin their career as tea professionals, and also getting general public more deeply interested in Japanese green tea so that they start to explore different types and regions. Many tea professionals such as farmers and processors etc. as well as individuals who are interested in tea, take the exam, which only takes place once a year in several locations in Japan. In order to be certified as a Nihoncha Instructor you must score at least 70% total AND 50% or more in each chapter at the first exam. Amongst the people who take the exam the statistics shows that only 25-30% of those who take the exam pass. The Nihoncha Instructor Exam is comprised of 10 chapters. Once you pass the paper exam, there is practical skill test or tea judging test. 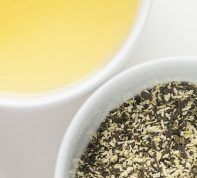 You have to be able to distinguish good tea from bad tea and rate the tea from the best to the worst. In this 2nd exam you go through the actual tea judging, just like elected officials judge the contest tea. Also, you have to be able to tell which season each of the tea leaves are picked and rate taste qualities of these tea leaves. This is somewhat similar to judging black tea. They use white porcelain bowls and pour boiling water. Boiling water does not brew any pleasant taste, but it allows you to smell, taste or see the undesirable characteristics of tea. There is also another certification program called Nihoncha Advisor. One can become a Nihoncha Advisor either finishing Nihoncha instructor course or passing a Nihoncha Advisor exam. They cannot officially open a tea class or start more advanced seminar, but their official functions are consumer advisors, event navigatiors, Nihoncha Instructor assistants, etc. Nihoncha Instructor program is convenient in a way because if they do not pass the exam, they can still be certified as a Nihoncha Advisor so they don’t just walk away with nothing. Currently these programs are only offered in Japanese. 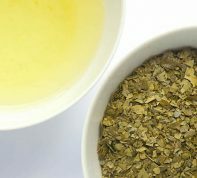 It would be nice to educate the people in other countries so that good reputation about Japanese tea can be spread far and wide.